Since our discussion of the Ten Commandments airs today, I couldn't resist this wonderful poster (with so much shirtless goodness) for a favorite movie from my youth, though I only got to see it on Saturday afternoon movies on TV. And it stars Charlton Heston and Yul Brynner! 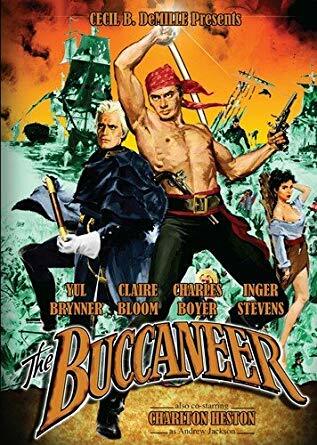 Directed by Anthony Quinn who was Cecil B. DeMille's son-in-law at the time, since DeMille was too ill to do the project as a remake of his earlier 1930s version. So there are many parallels with the Ten Commandments. Aside from the fact that this is just a really fun popcorn movie and the Ten Commandments is that and much, much more.